Visitor Guide to County Kerry - About County Kerry for visitors. 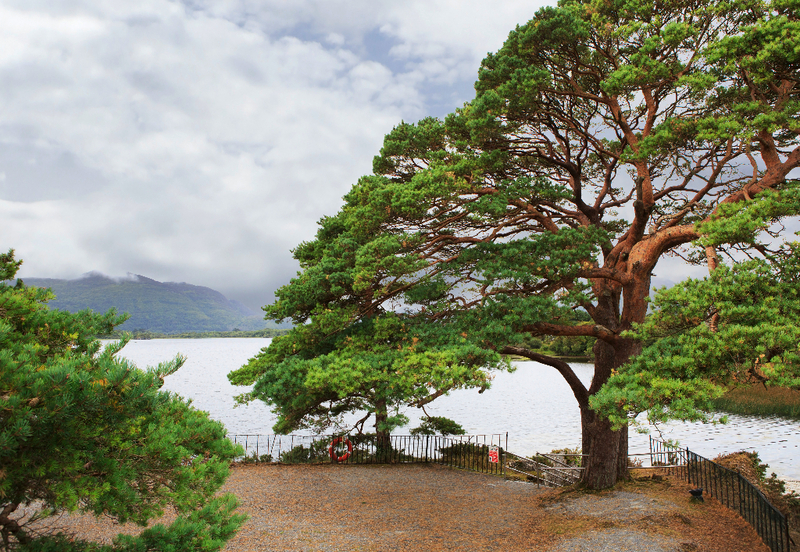 View of Lough Leane from Lake Hotel Killarney. Stay in Kerry is a Visitor Guide to County Kerry in Ireland giving good information on places to visit, tourist attractions, where to eat and drink, what to do, upcoming events and where to stay. This website is updated regularly showing the latest information and upcoming events as well as availability of accommodation throughout the county. Visitors can book accommodation including hotels, B&B, self catering and hostels through our preferred booking partner, booking.com. Kerry is one of the leading tourist destinations in Ireland with a wealth of stunning scenery in locations such as Killarney, Dingle, Kenmare and the Ring of Kerry and numerous historical sites throughout the county. Visitors to Kerry can experience the numerous beaches including Ballybunion, Ballyheigue, Banna, Coumeenole, Rossbeigh, Caherdaniel and many more. All of the coast of Kerry is on the Wild Atlantic Way and features some stunning islands including The Blaskets, Skellig Michael and Valentia Island. Kerry is noted for the range of outdoor activities available including hill walking, cycling, surfing and horse riding. There are many great Golf Courses in the county including Ballybunion (two world-class links courses), Killarney, Tralee and Waterville. There are many others as well as lots of pitch and put courses. Kerry is famous for its prowess at Gaelic Football but it also has quite a few Hurling, Rugby, Soccer and Basketball Clubs. Kerry has two great Horse Race Courses, Listowel and Killarney. There are annual festivals held at these courses and Listowel Harvest Festival of Racing is one of the most popular racing festivals of the year in Ireland. Other famous festivals which attract thousands of visitors to Kerry are The Rose of Tralee Festival, The Dingle Food Fair and Listowel Writers Week. Throughout Kerry there are many great restaurants and also some famous pubs and from time to time we will do features on some of these. Kerry is a great choice of destination whether for a few days or a few weeks. In this Visitor Guide to County Kerry, the only advice we would give to intending visitors is arrange your accommodation well in advance. Especially at peak times (July and August) or when there is a big event happening, accommodation can be fully booked very quickly. This applies particularly to Killarney, Dingle, Tralee and Listowel.